If any of you are new to this, its not a limited selection, its wide and varied with a choice of games that will make you feel like a kid in a candy store. 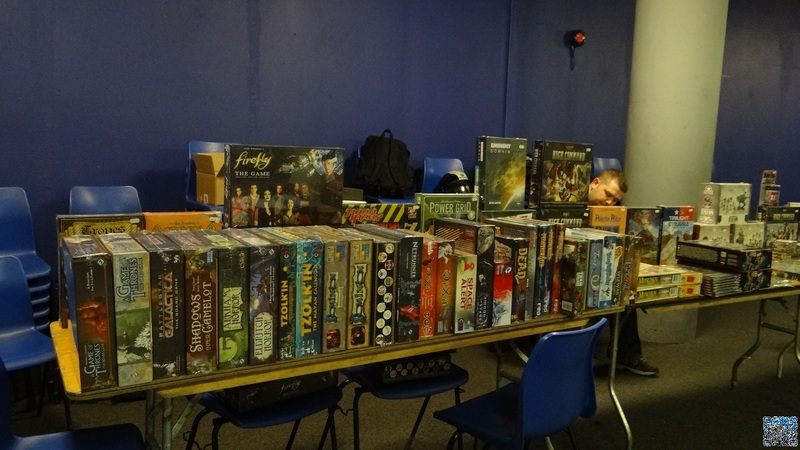 The classics such as ; Dungeons and Dragons, Pathfinder, Carcassan and Catan where there, along with others such as Battlestar Galactica, Firefly, a Pacific Rim themed game, some 40K, Pandemic and a few even I haven’t heard of. 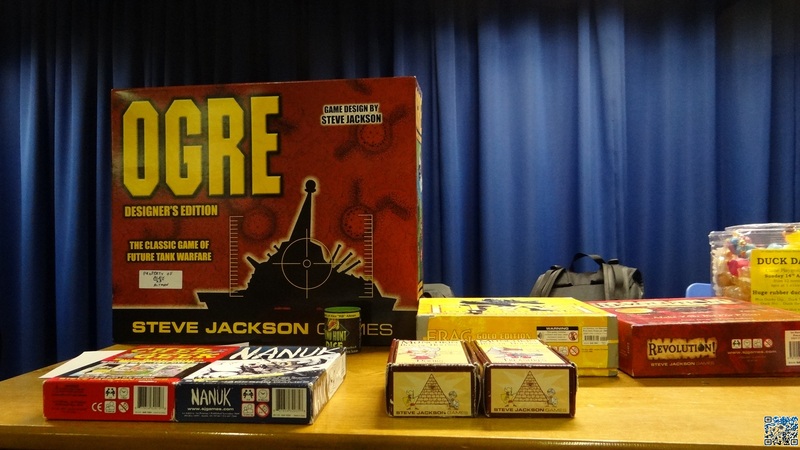 Steve Jackson games where even there showing off their enormous game Ogre, seriously this thing is huge, if you think size matters this is the game for you. 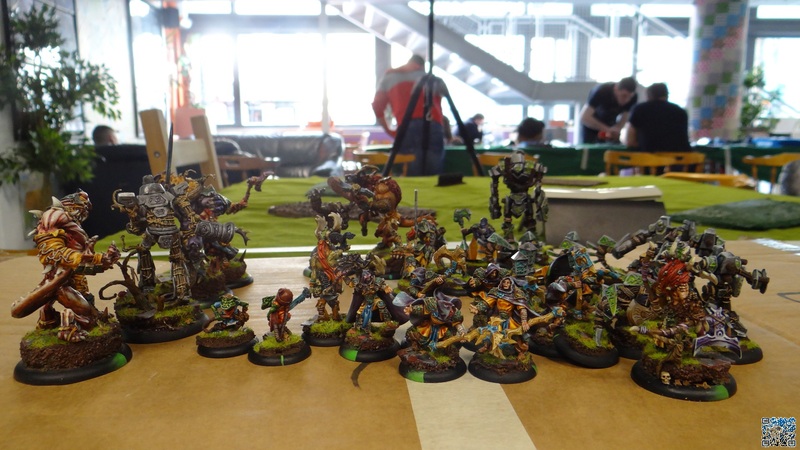 If you a fan of Warmachine and Hordes then this is the con for you. I have never seen so many players all at once. 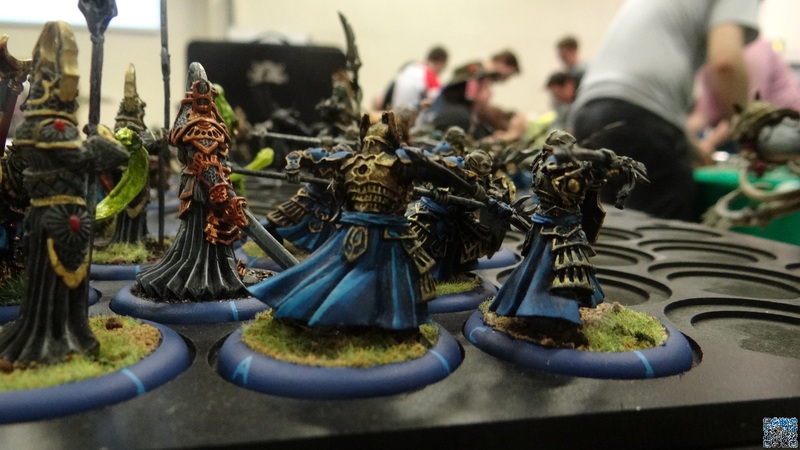 I was tempted to ditch my photographer, drive back to Belfast and to Dublin again so i could get my Cryx and show everyone how its done, but this was not feasible. There where players from all over the world here including; Ireland, Scotland, England, Slovakia, Sweden, Norway and even America. 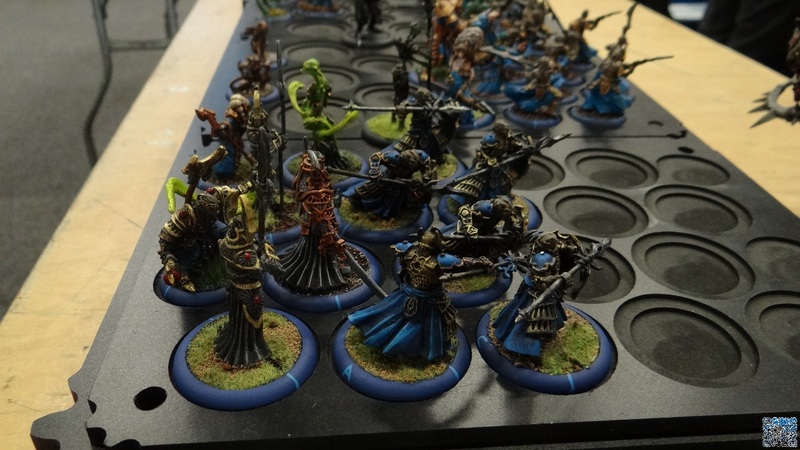 It’s great to see a bunch of strangers get together and well make armies of tiny little men as they duke it out, mixing in a giant score board on display, the competition was fierce and the quality of painting for the models was stunning. 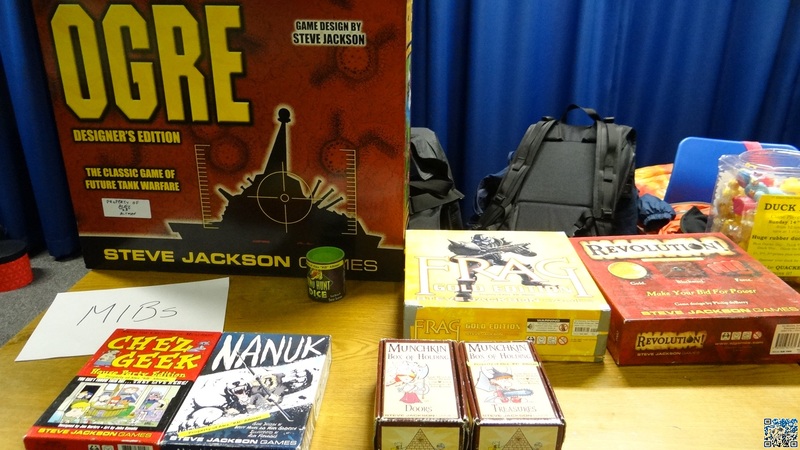 Leprecon had plenty of those on offer – check them out here. A side note: we didn’t take any pics of the LARP as it seemed a little unfair to disturb anyone in the middle of some role play. 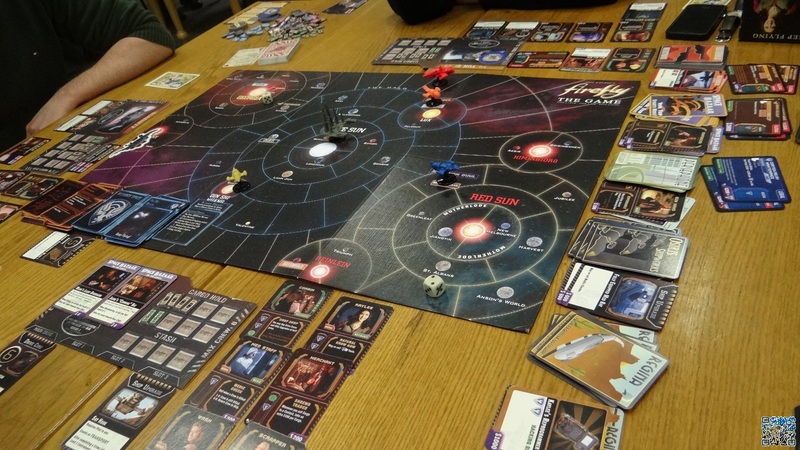 One of the most interesting things about this Con is the indie games design competition that also lets you show case your own games to a wider audience of ready and willing players. It’s a very open and fun environment, so if your a budding games designer you should go to Leprecon 36 and show off your game and see how it goes. Once again I can not stress enough how a good staff is important to a con. This once again was proven by the helpfulness of everyone here, you could tell that they take great pride in the con and where there for themselves. It was run very effectively and was a great fun day. 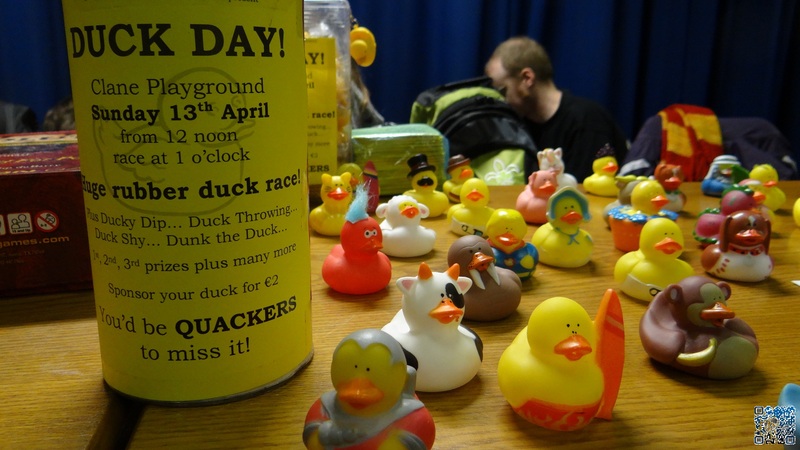 Finally with a few great vendors special shout out to the people that sold us the Ducks (you know who you are) and plenty of board games to buy.